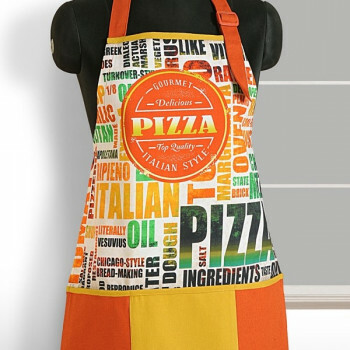 This delicious creation is meant to tempt your taste buds in one go. 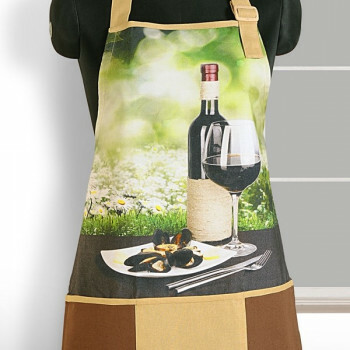 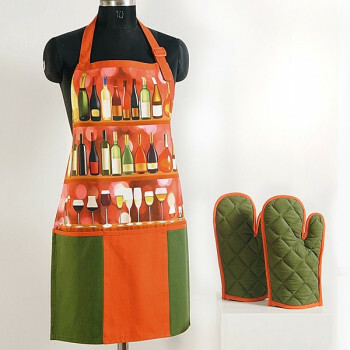 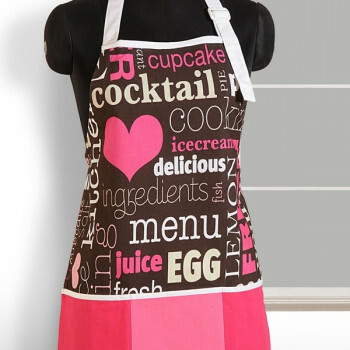 So scrumptious and mouthwatering, it’s a bright digital printed apron meant to add glamour in otherwise so boring cooking sessions. 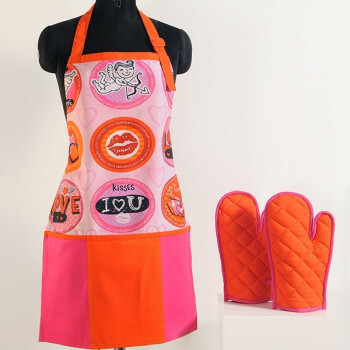 Admirations and complements can never come to an end till you are entrapped in the magnetism of yellow and pink combination. 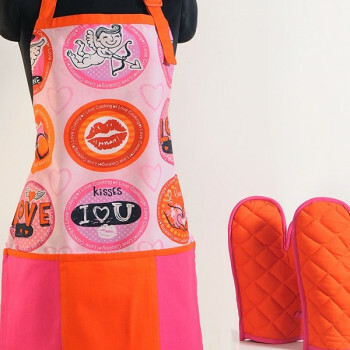 Full of oomph, vividness and comfort, this is an overall pleasure to treat senses. 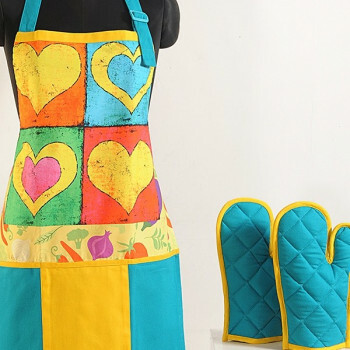 Pleasure of colors, pleasure of cotton and of course the pleasure of mouth watering stuff is beautifully captured on this apron. 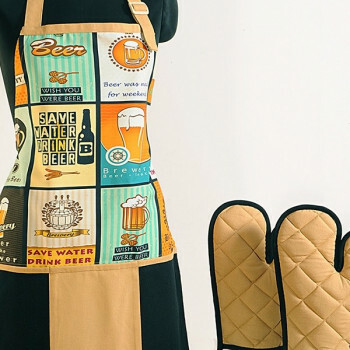 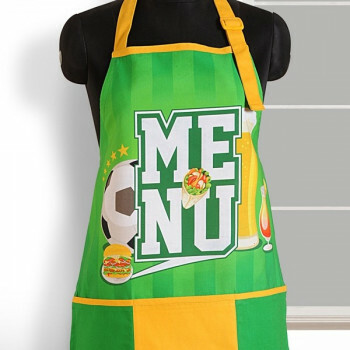 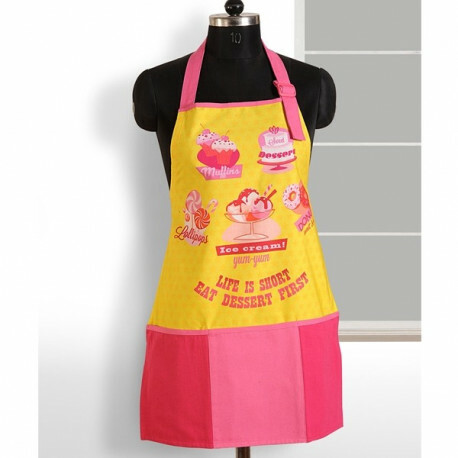 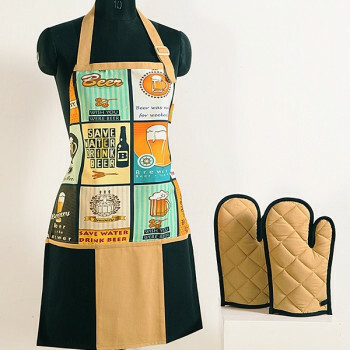 Buy yellow pink digital aprons from our online shopping portal swayamindia.com and change the view of your floor.Deserts, muffins, ice- creams or donuts, there is so much to get indulged into with this digital printed apron. 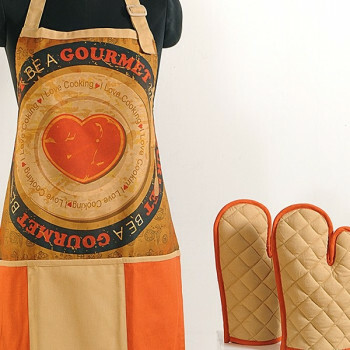 This pure cotton is not just delightful to watch but soft on touch as well. 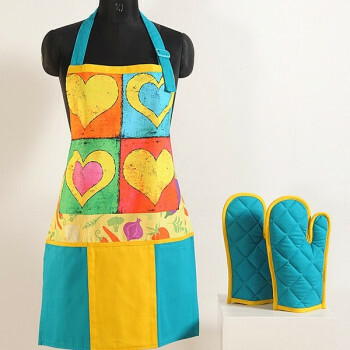 You would be caressed with its bright colors and gentle touch to cook in a merry mood. 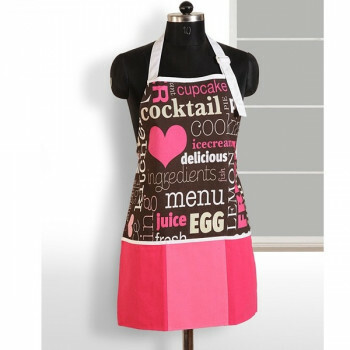 Tinge of pink and white shades on the overall canvas is further accentuating the splendor of the apron. 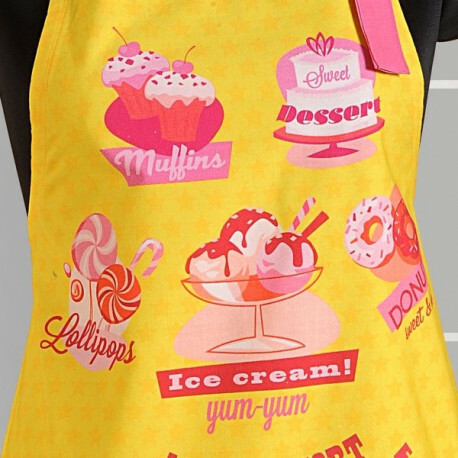 One sweet message it also conveys written at the bottom of the whole view. 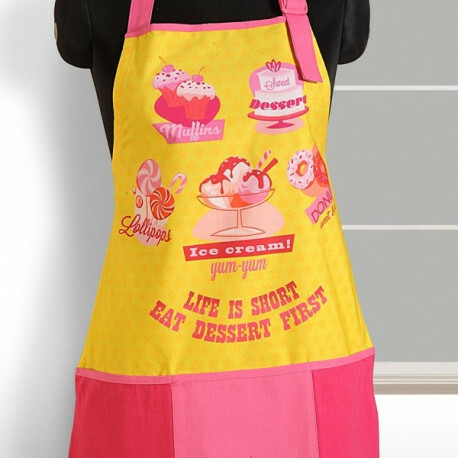 You must not wait to find reason for having a dessert as the life is too short to do so. 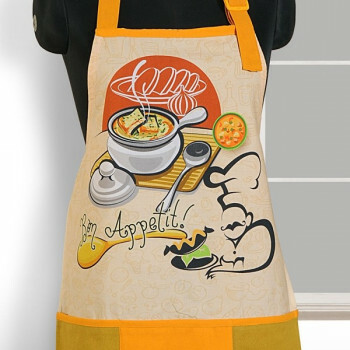 Occasionally or frequently, anyhow make sure to taste this flavored fusion once. 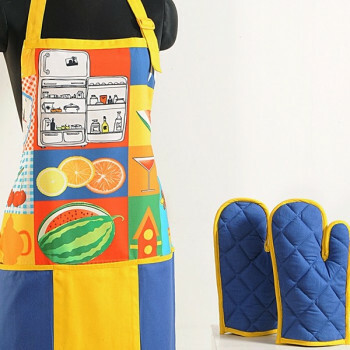 You will not have any problems to move around your kitchen as they are flexible and perfectly fits your body. They are provided with neck and waist straps which you can tie according to your size. 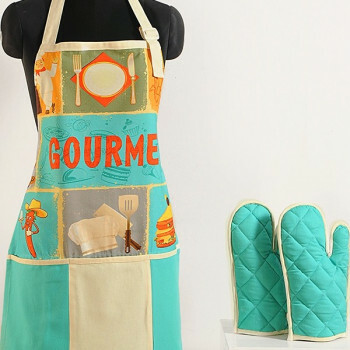 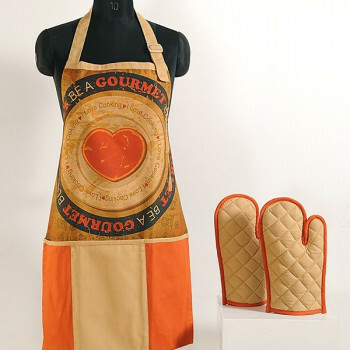 The use of high quality cotton has made these aprons soft and lightweight which will bring convenience in your cooking. 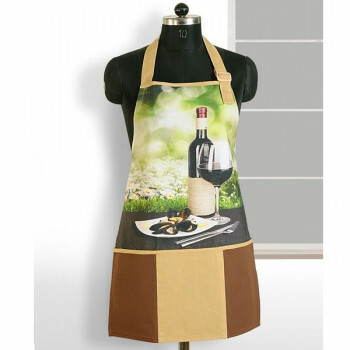 These aprons will protect you and your dress from oil spills and stains. 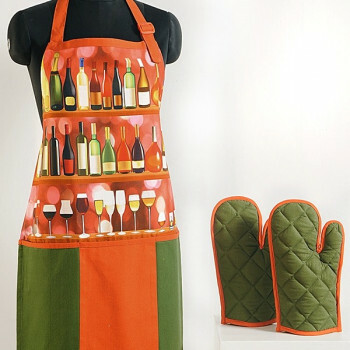 You can also use them while chopping vegetables and washing dishes. 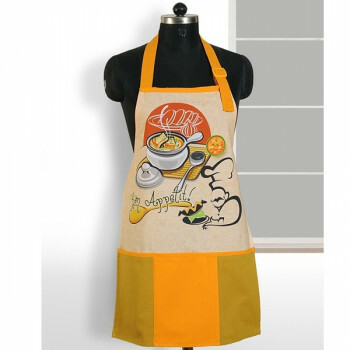 Buy yellow pink digital aprons from our online shopping portal swayamindia.com and ease your culinary methods. 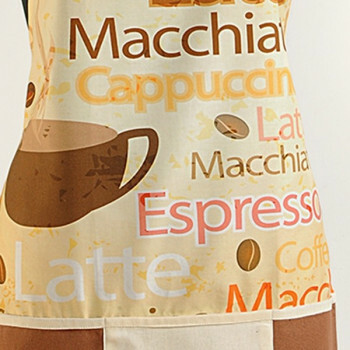 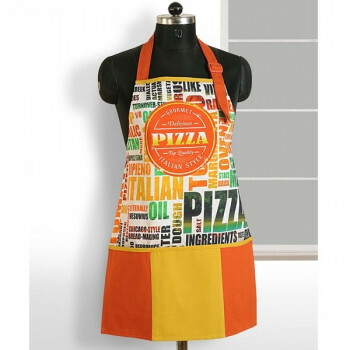 They drape you like a skirt protecting your front portion completely.These beautiful digital aprons are widely known for their excellent texture quality. 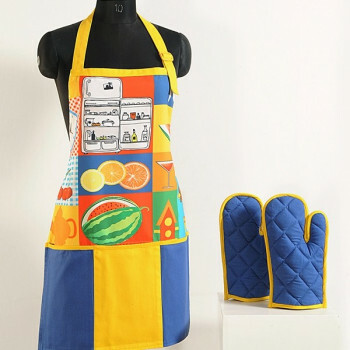 You can even wash them in a machine without any hesitation as they are colorfast and strong. 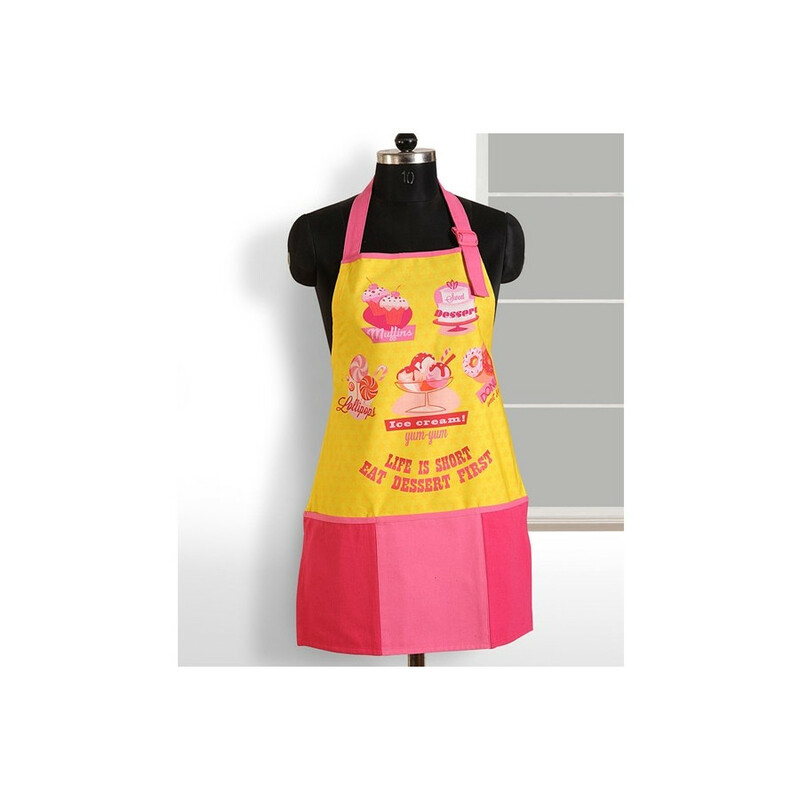 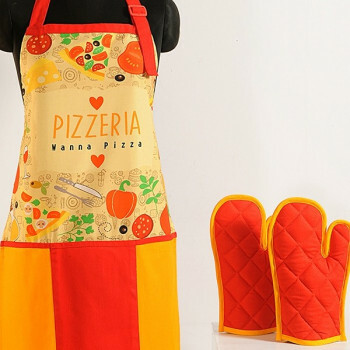 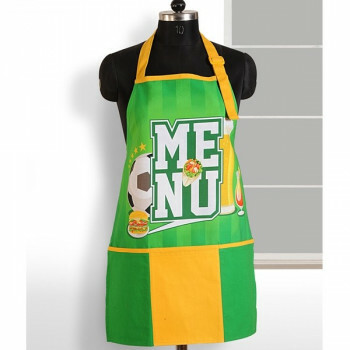 Buy yellow pink digital aprons from our online shopping portal swayamindia.com and serve a delicious meal for your family. 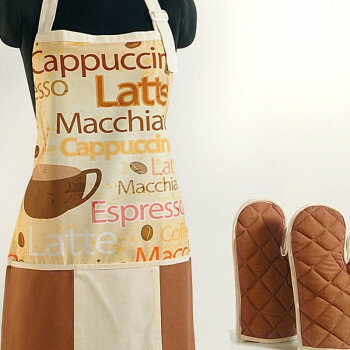 They are made with extreme care and precision therefore do not contain any flaws and misprints. 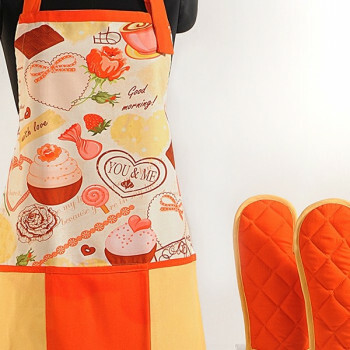 In case you receive any defective products, we will offer you full buy back guarantee. 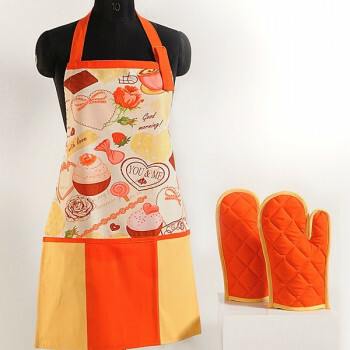 If the products you received are not up to the mark you can return them within 30 days of purchase.